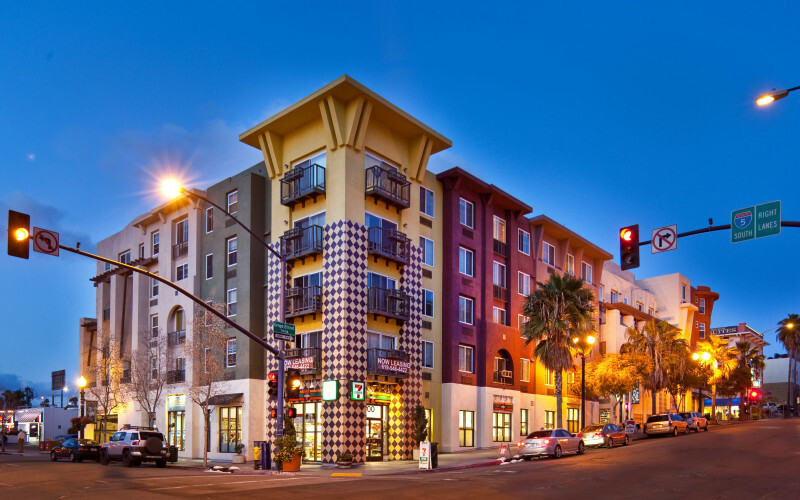 In the heart of San Diego’s Little Italy, Il Palazzo offers studio, one and two bedroom floor plans with harbor and city views*. These apartment homes feature designer finishes, gourmet kitchens with stainless steel appliances, crown moulding and in home washer/dryers. Minutes from the I-5, San Diego International Airport and downtown San Diego, Il Palazzo features a technology café, state-of-the-art fitness center and outdoor veranda.